Bahraini photographer Sayyed Fadel documents the presence of migrant workers in daily life, from shops to factories and other public spaces. Migrant workers make up 77% of the workforce in Bahrain. In 2015, 39% of work visas were allocated to construction workers, 20% to sales jobs, and 12% to the manufacturing and service industries. Some well-established communities, particularly the Indian community, form the backbone of many industries with both capital and labor, allowing them to yield some influence. 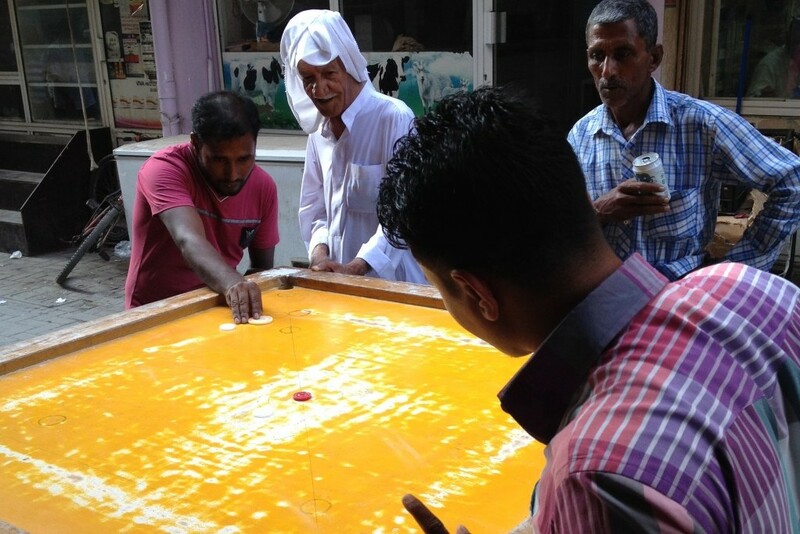 Through decades of community building in the Gulf, migrants have improved their status by creating shared social spaces and organizing aid for one another. 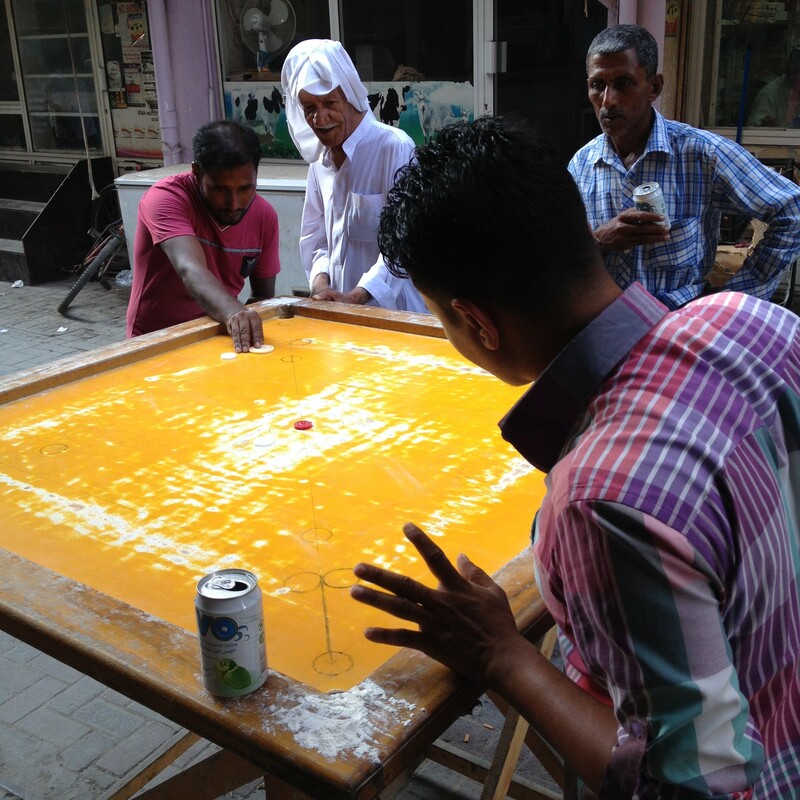 Despite Bahrain's claimed reforms, many migrants still feel vulnerable and disposable under the kafala system. 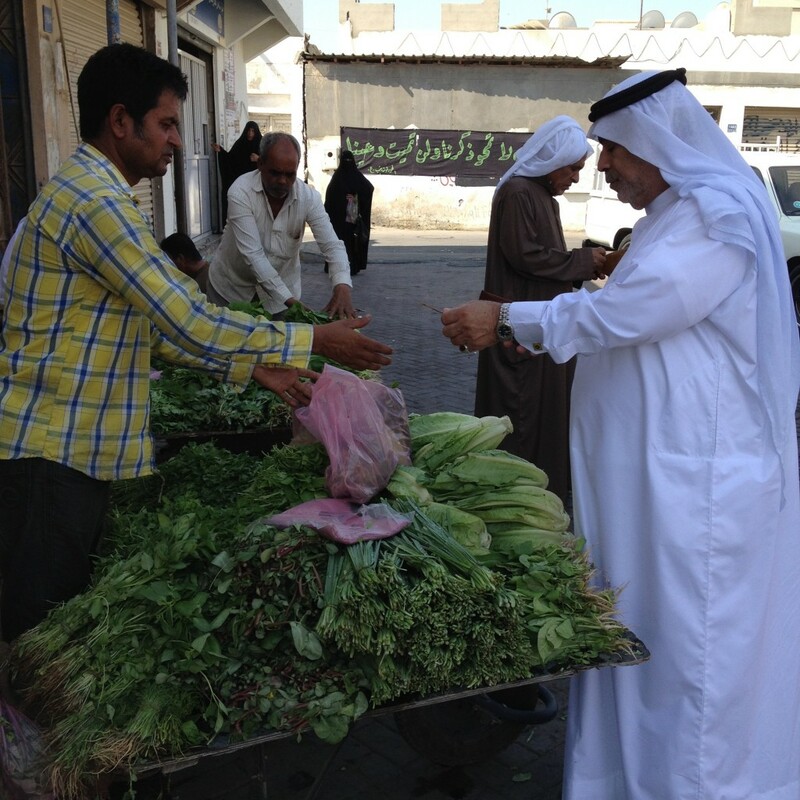 Many workers are hired by Bahraini farms to sell their daily produce. Some migrants who have lost their legal status end up reselling cheap produce, especially to other migrants. 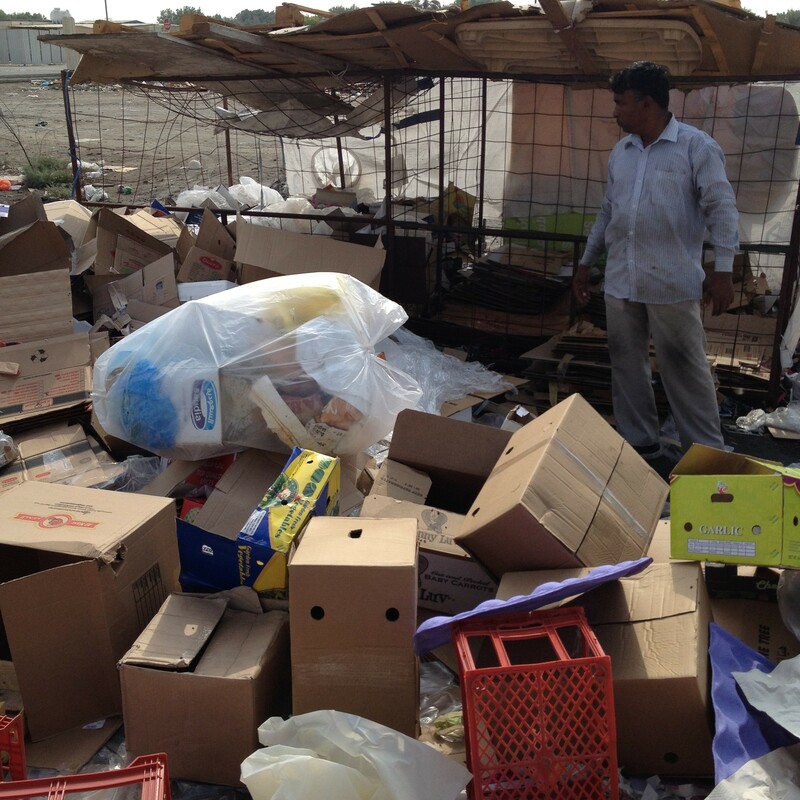 Migrants are key players in the local markets of Bahrain. Unlike their counterparts in Saudi Arabia, they are not targeted by job-nationalization programs as Bahraini business owners continue to rely on them for market distribution. 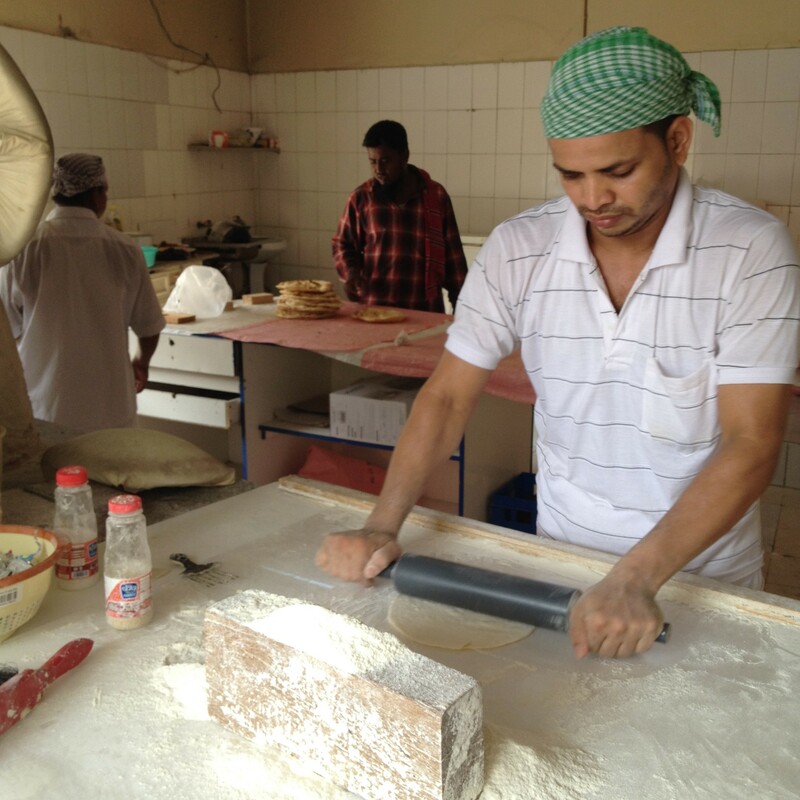 Migrant workers operate the local bakeries in Bahrain. In the Gulf region, these bakeries offer their fresh bread at cheap rates than the packaged bread sold in supermarkets. Bakers endure working around high temperature stone chambers all day, taking breaks from work only for prayers. On holidays or after work, workers find refuge in local cafes, drinking tea and socializing. The five daily prayers are sometimes the only breaks that workers gets off work. 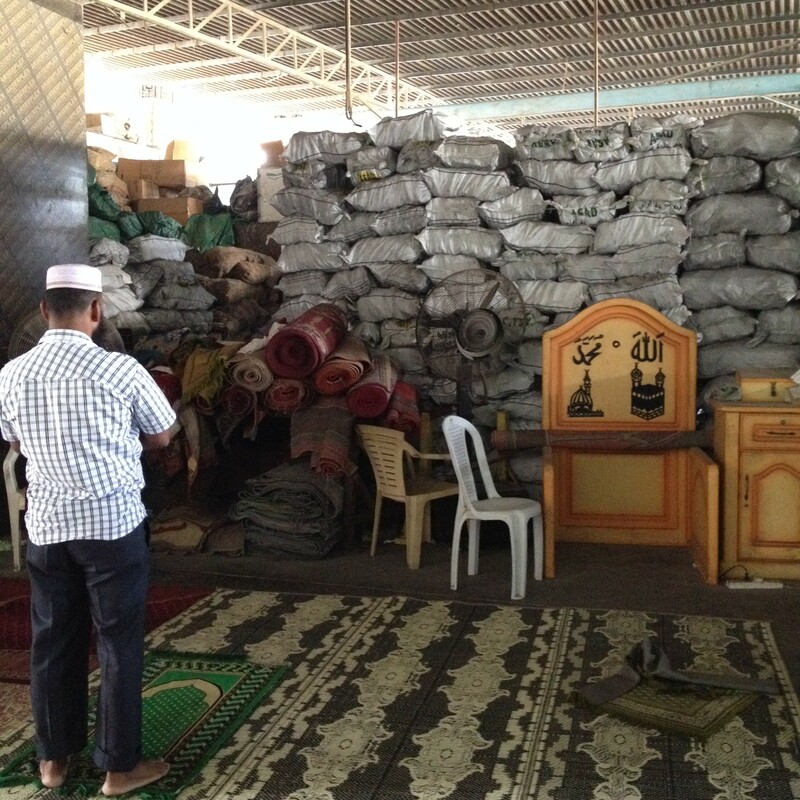 In this picture, we see a praying space set up at the workplace. 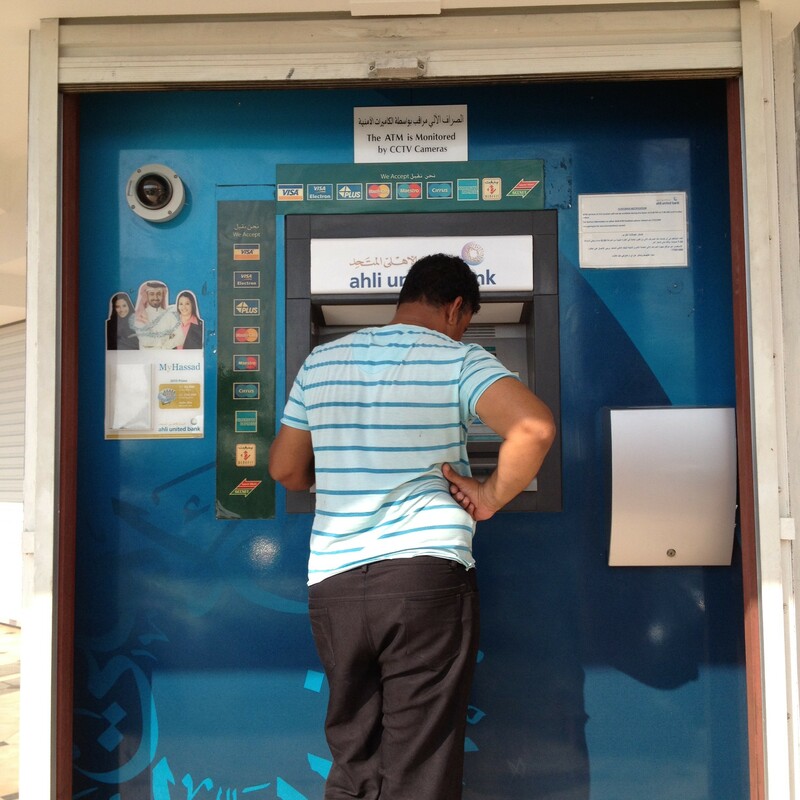 Migrant workers in Bahrain send out around 2 billion dollars in remittances each year. Their hard-earned wages help build houses and local businesses. Migrant communities in the Gulf are using their contributions as political leverage, pushing their governments to do more to support them abroad - through demands, negotiations and legal aid. 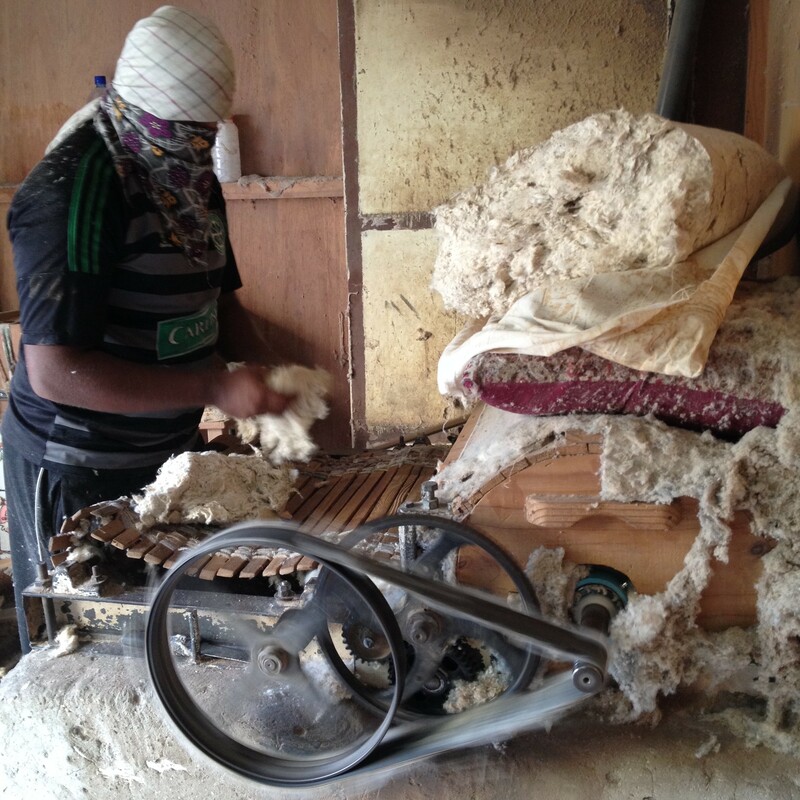 In a small workshop, a man operating this machine all day to press cotton into bigger pieces that can be used to make furniture. On their rest days, workers might attend religious services or go out with their peers to enjoy their time. Some might be domestic workers who are heavily confined at home, and others could be working overtime to pay their debts or to further support their families. 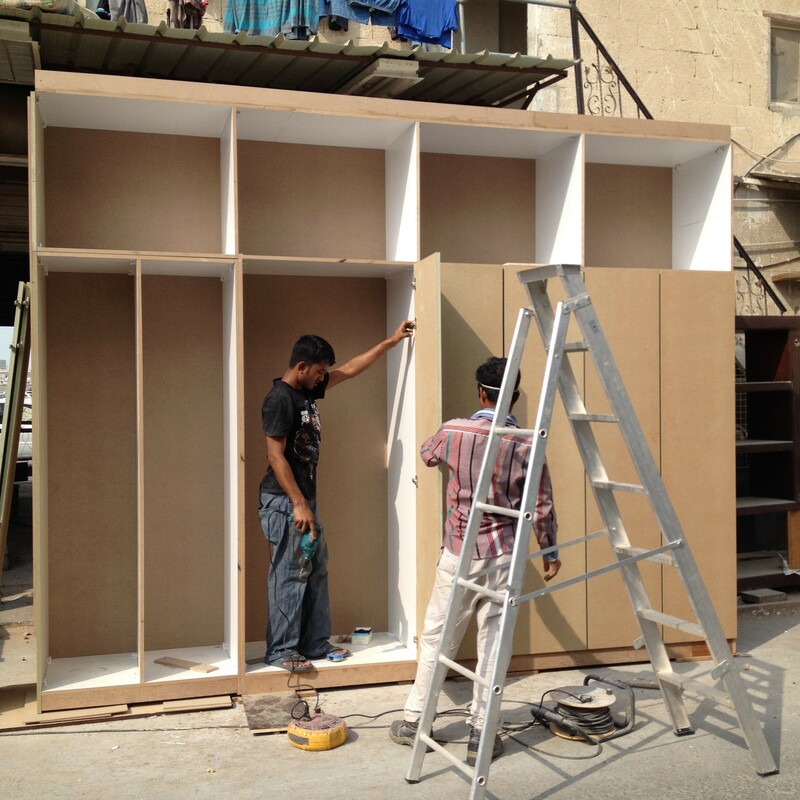 In front of their furniture workshop, these men spent the day assembling a wardrobe which was later delivered to a furniture shop. Migrant workers dominate local industries. Sometimes, you might spot a person like this one who goes around shops or even houses to collect anything that might be recyclable. These are then sold at bulk prices to local factories. 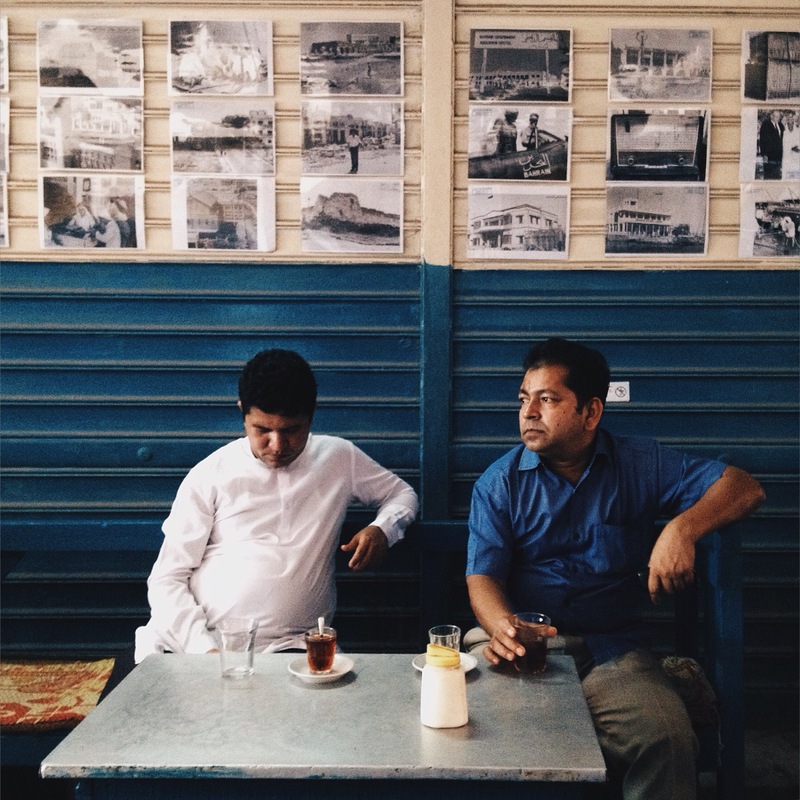 These two men here belong to two different generations of migrants in Bahrain. 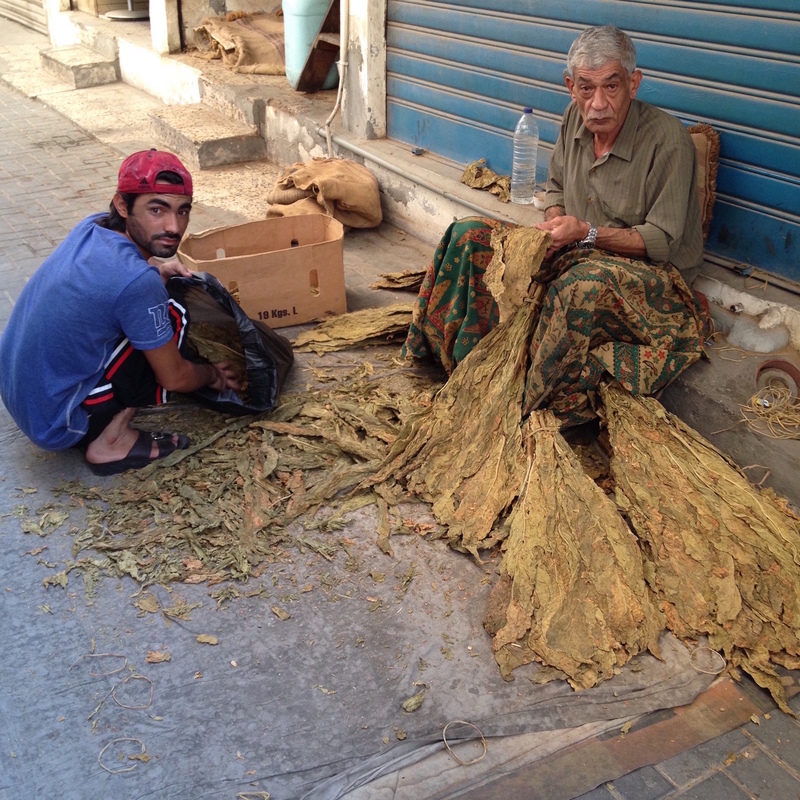 Both of them operate a local tobacco shop owned by a Bahraini man. 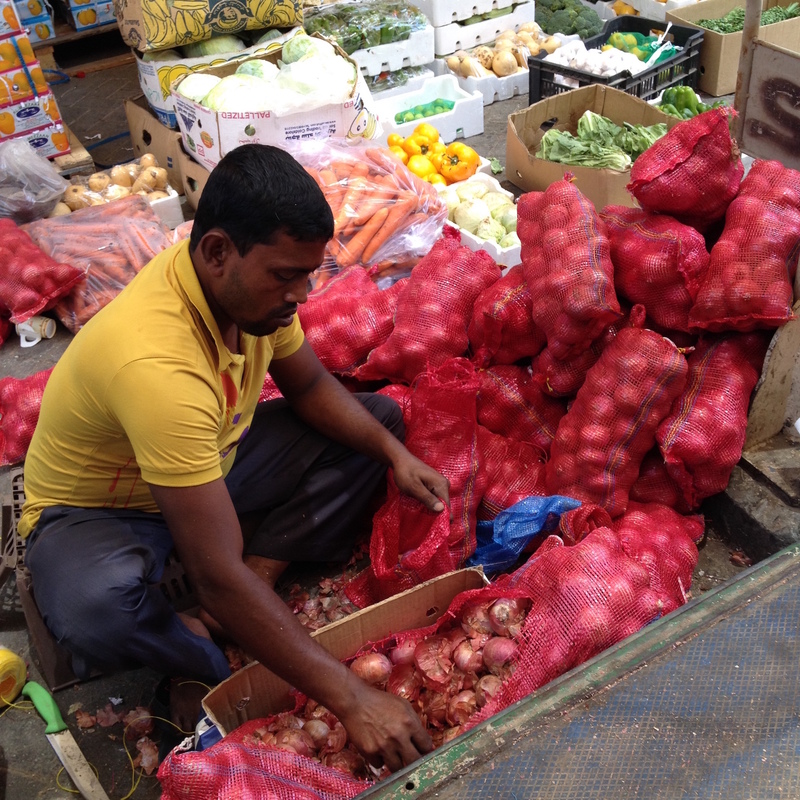 This vendor is cleaning sacks of onions to have them ready for sale.